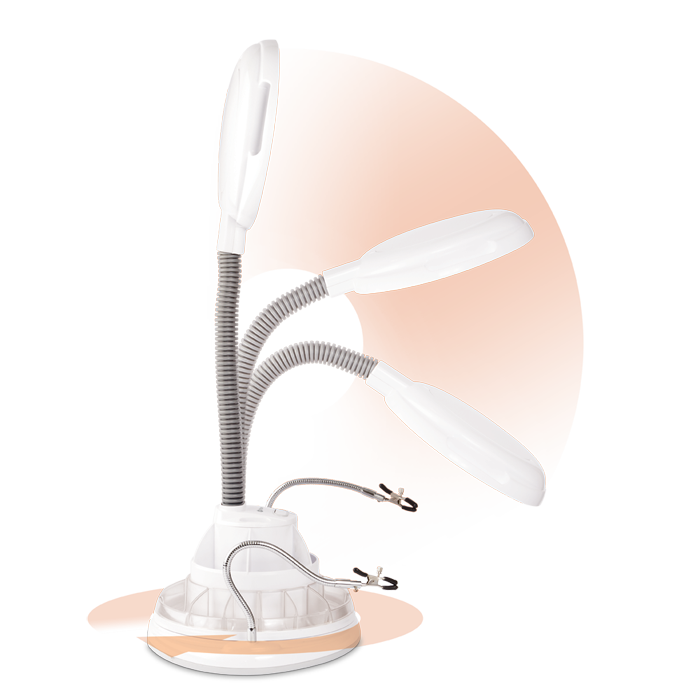 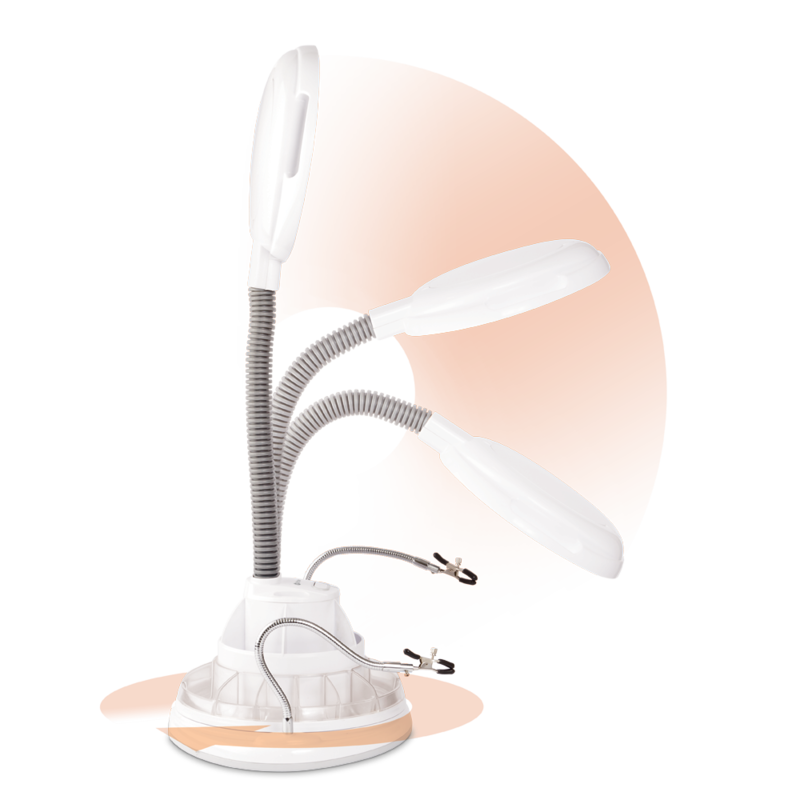 A Lamp Unlike Any Other! 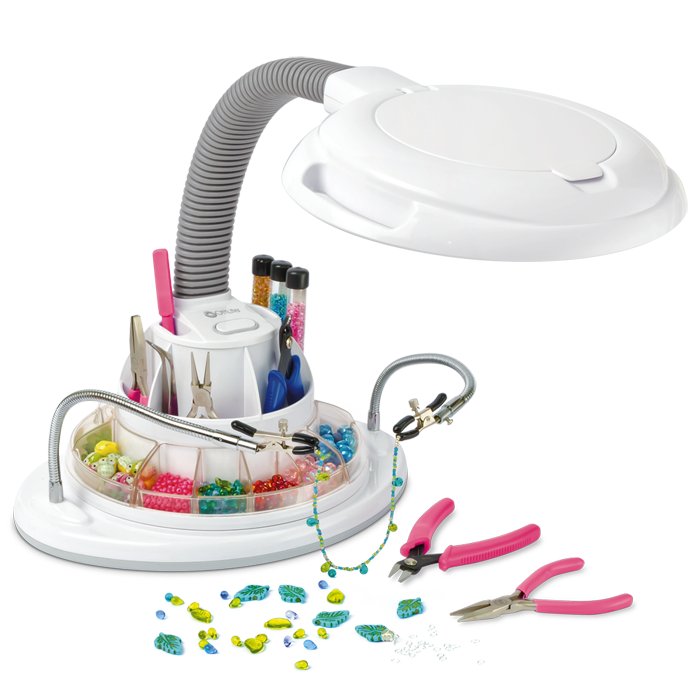 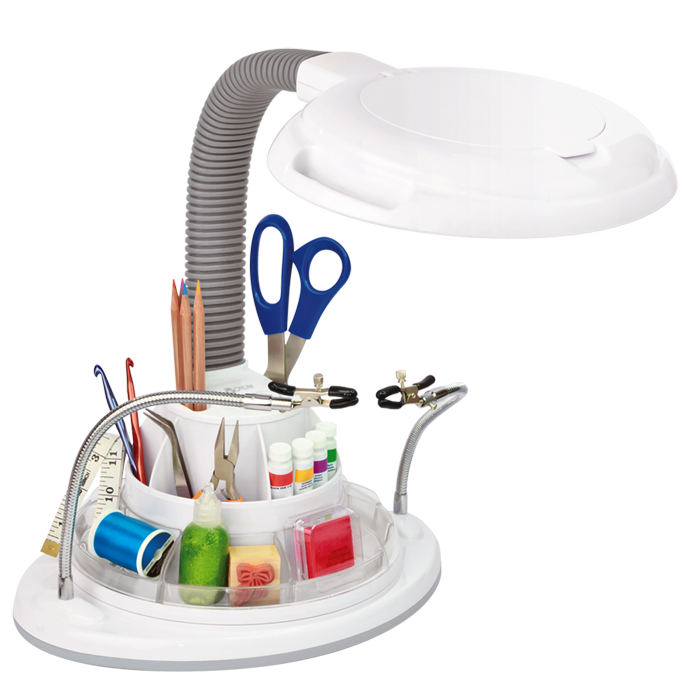 The 22w Ultimate Magnifier Lamp and Storage Station is packed full of smart, helpful features making it our best hobby/craft lamp yet! 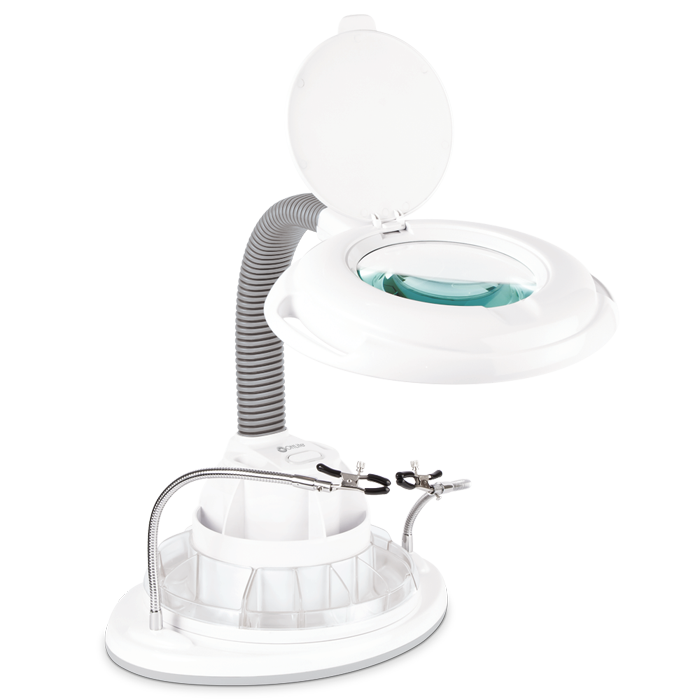 The fully adjustable optical-grade magnifier provides a sharp, distortion-free view of the finest details. 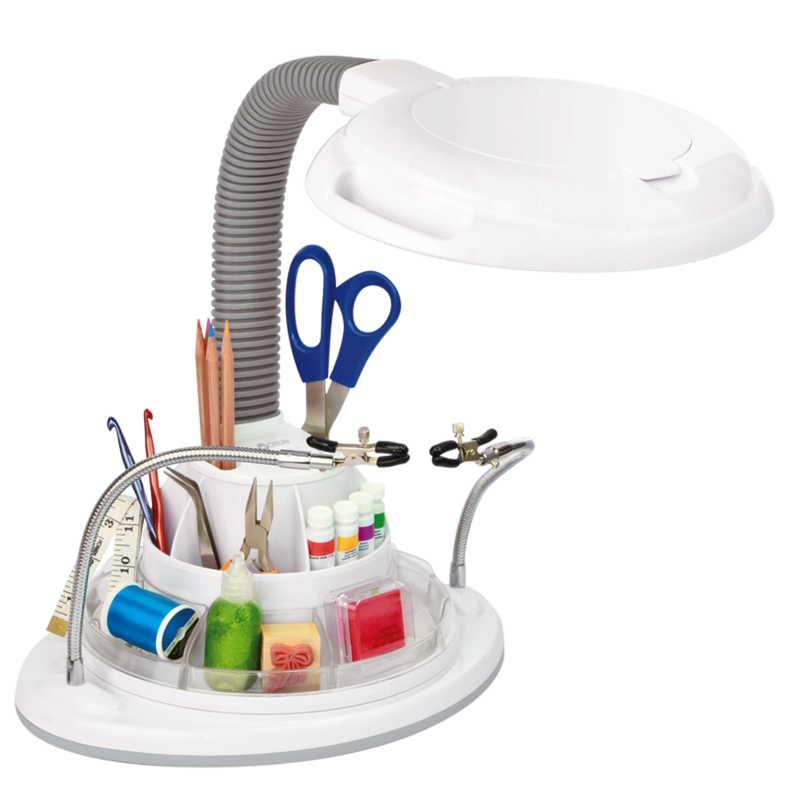 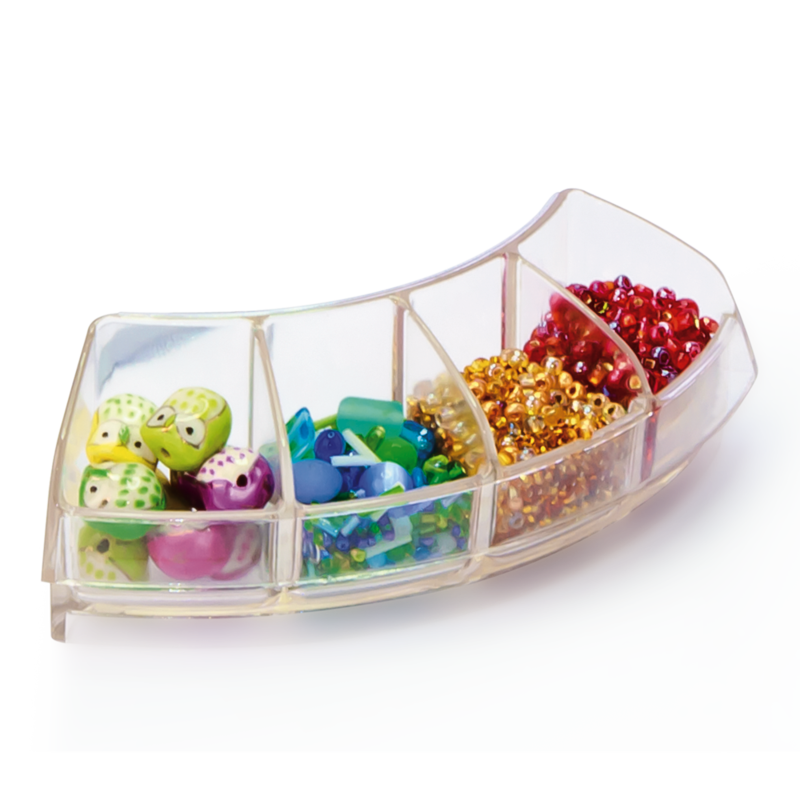 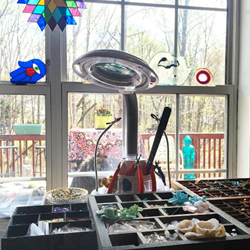 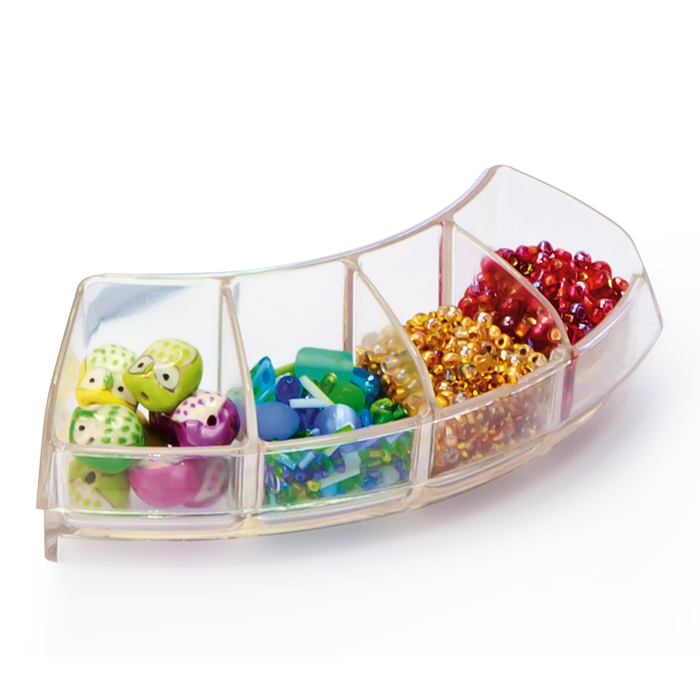 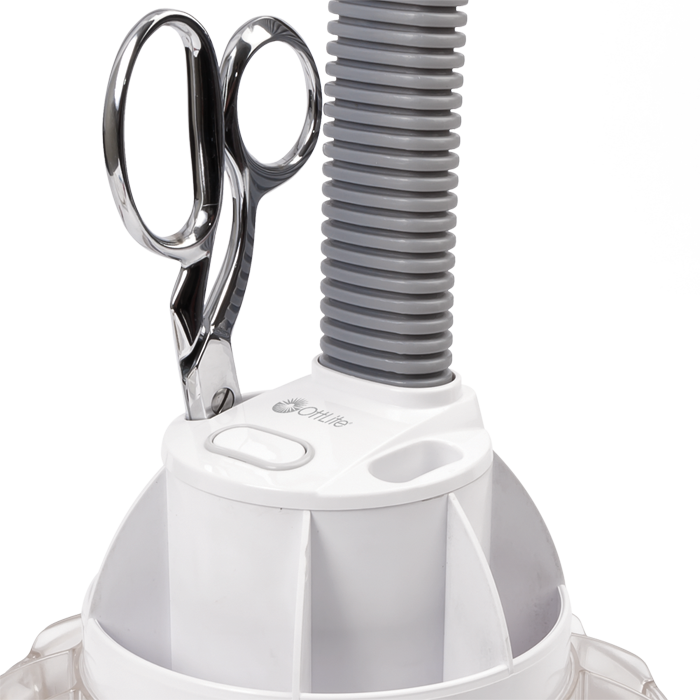 Multiple storage options and a flexible “extra set of hands” make it the perfect magnifying lamp for beaders, sewers, fly tiers, model builders and more! 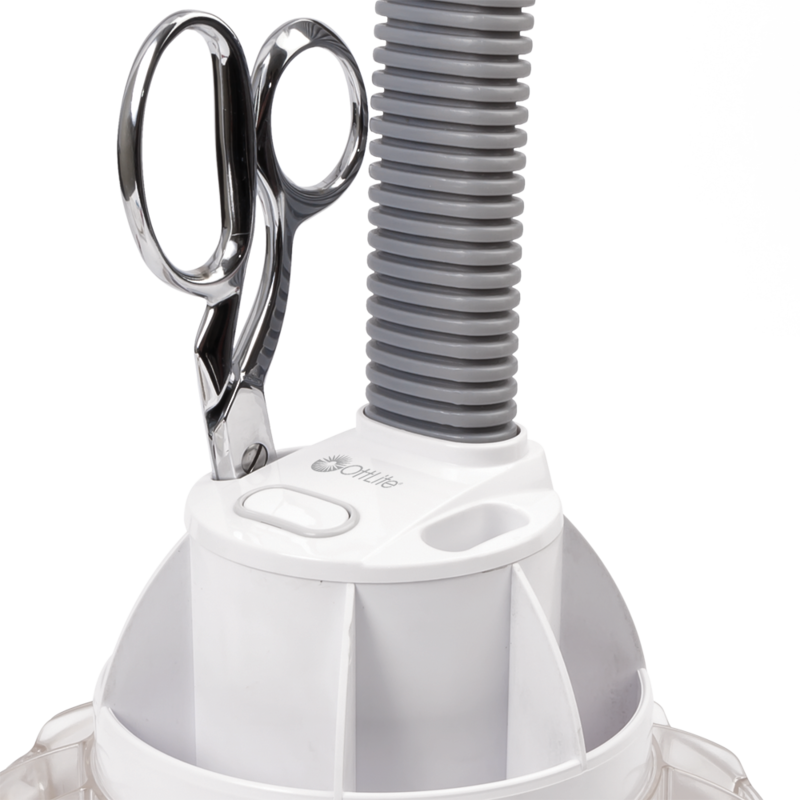 2 extra deep pockets for scissors, rulers, brushes, etc. 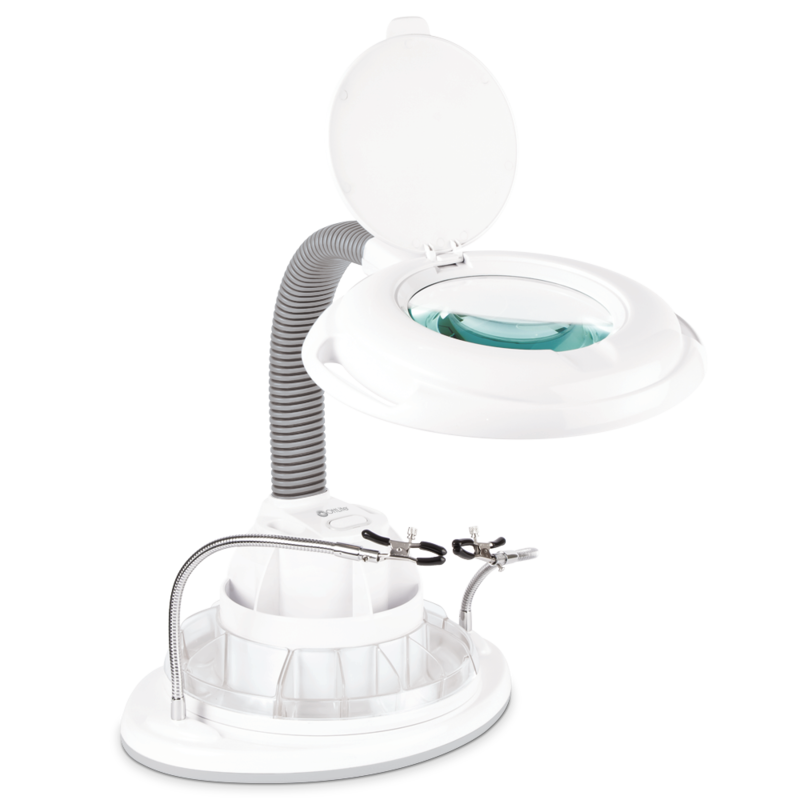 WingoStarr Jewelry - "Not only does it have tiny compartments for things, the light is super bright and adjustable & it even has a magnifying glass. 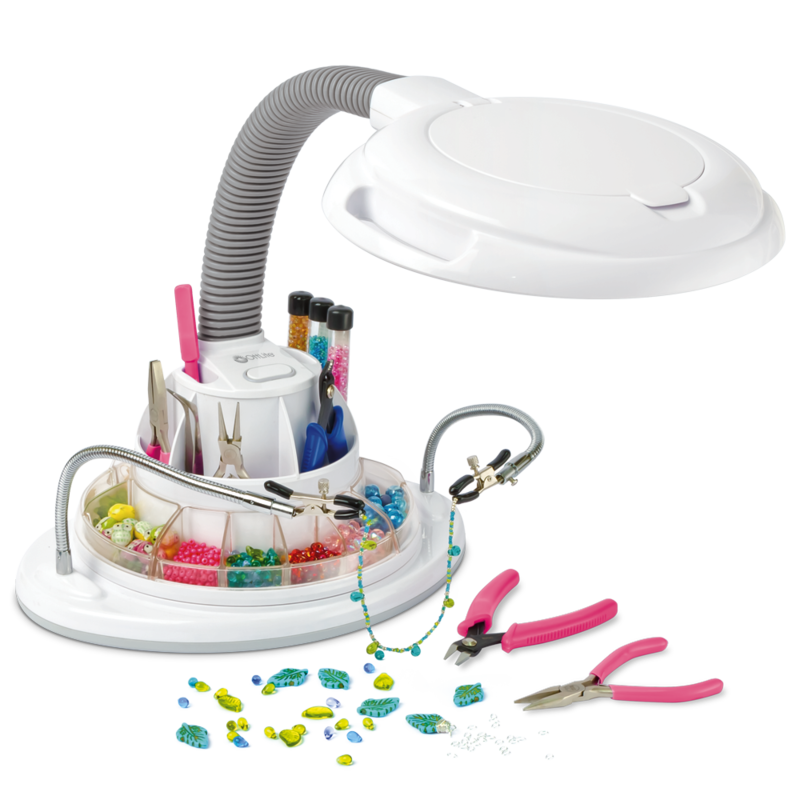 Every jeweler needs one!"